Billion colours, endless experience. Watch all your favorite music videos, movies and tv shows with our premium image processing technology that brings to you vivid colours with realistic touch and detailing. Experience all the actions and thrills at its best. 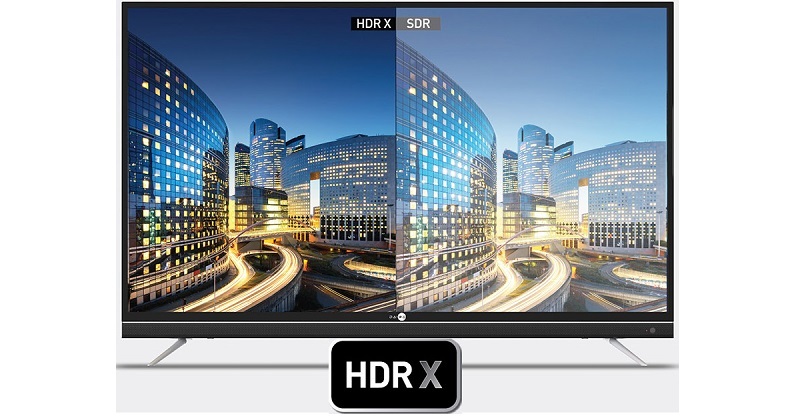 HDR VISION is the new talk of the town powered by HDR X, the latest technology in campus of TV viewing experience. This advanced technology optimizes every scene, every frame and every pixel to give you rich colours, superior contrast and in-depth detailing. With this wider range of luminit brightness and luminit contrast, you get to feel the picture the way it was meant to be. The Built-In Soundbar audio technology ensures that you get to experience an immersive surround effect with every sound the TV produces. 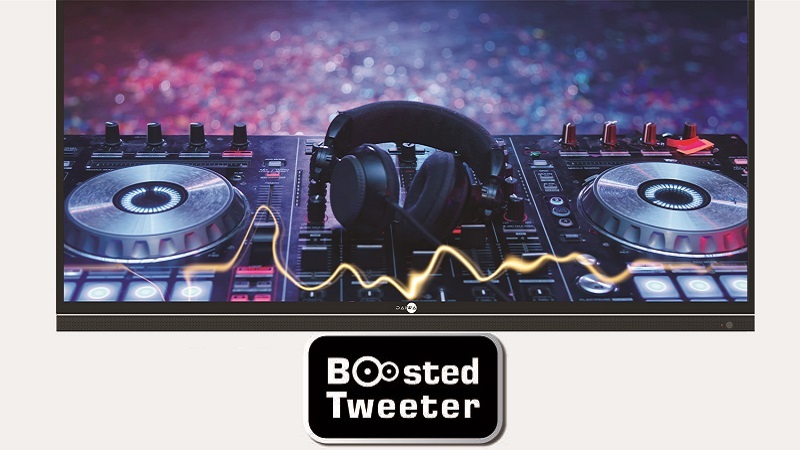 The sound processing is powered with Boosted Tweeters and Enhanced Bass feature. Smart TV, Smarter Life! Now enjoy the world of Android in a bigger and smarter canvas. This is your gateway to limitless , videos, music, sports, news, series and other online content. With smart like NetFlix, Hotstar and Youtube, you get access to unlimited content and entertainment varying across numerous genres. 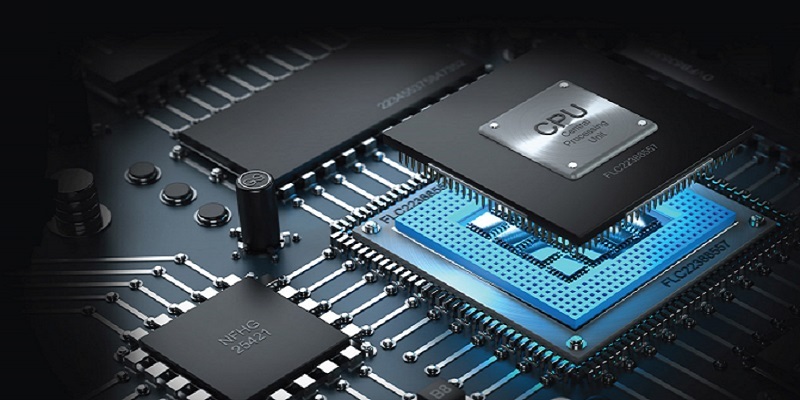 The TV's smart and intelligent processor makes browsing and switching a uber-smooth task. 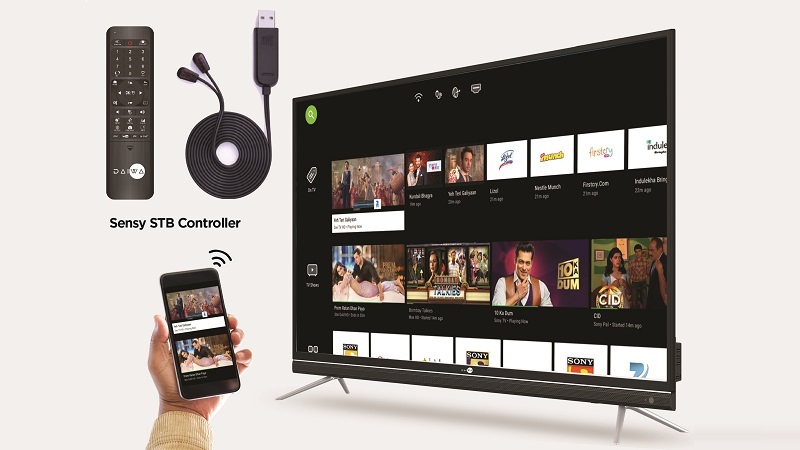 It has been powered with 1GB RAM to enhance the performance of the TV that lets you download and install in just a simple click. 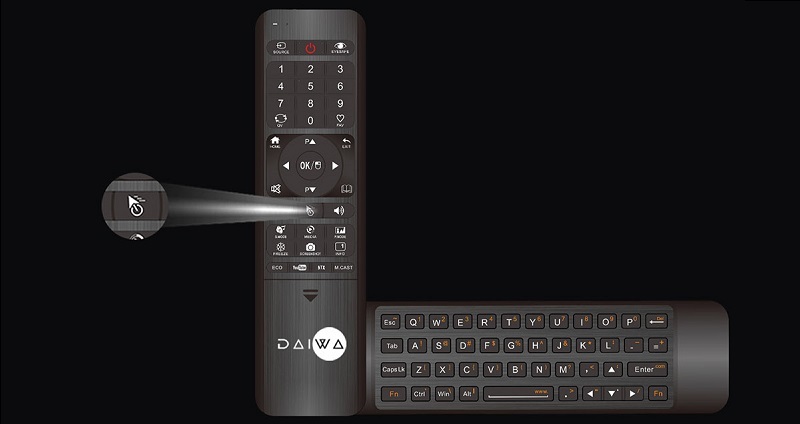 This Web Play Remote is designed to use your DAIWA 4K Smart TV with ease. It is simple, intutive and works with your natural instincts. Its a remote with dual functionality. 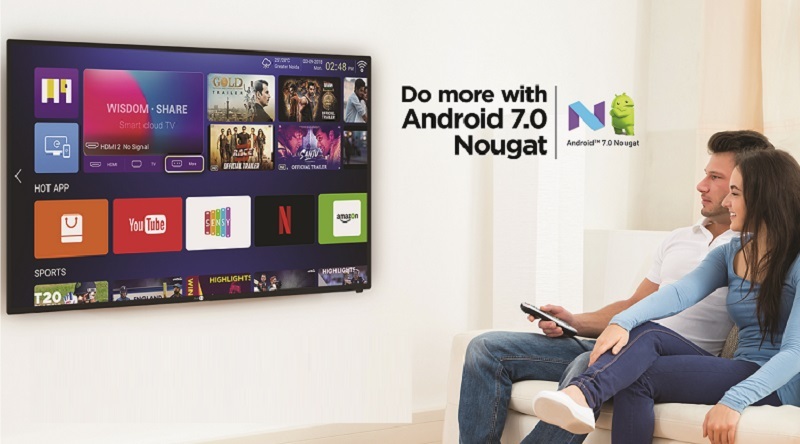 Run your Smart TV from the comfort of your couch! Now create a wall of moments as you view content from your Set-top Box. From recently watched to upcoming movies, your favourite tv shows to the beat dropping music videos, everything gets displayed on your Smart TV with your very own Sensy TV guide App. Whats more? Sensy App, gets you to use your voice to command your tv through your Smart phone, and gives you the ease of using a single remote to control your Smart Tv and Set Top Box. 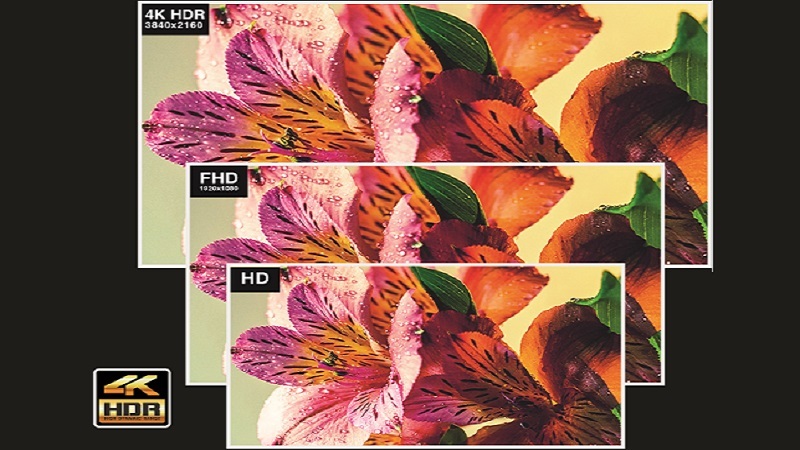 Now watch a full spectrum of colour come into live with Daiwa 4K HDR technology. Enjoy 4 times more than the resolution of a standard Full HD Screen with accurate detailing and true colours. Million pixels of colours get together to create an everlast ing impact on your visual senses. 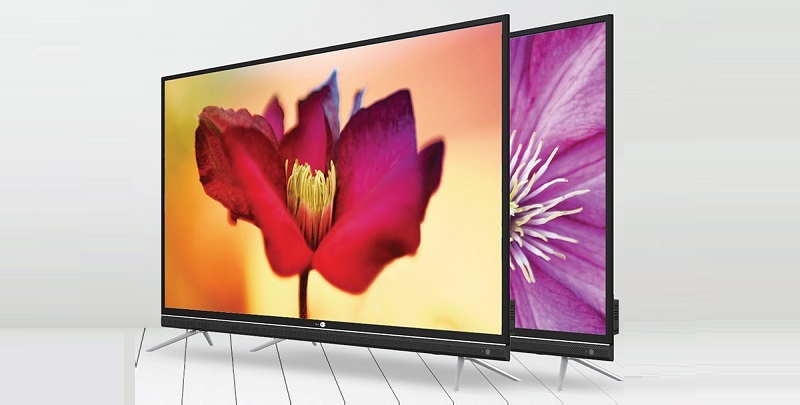 The next generation of picture quality is here. Daiwa's ground-breaking technology gives you ultimate picture quality by combining stunning details, spectacular colours and striking contrast. The result is lifelike visuals with more real skin tonality. 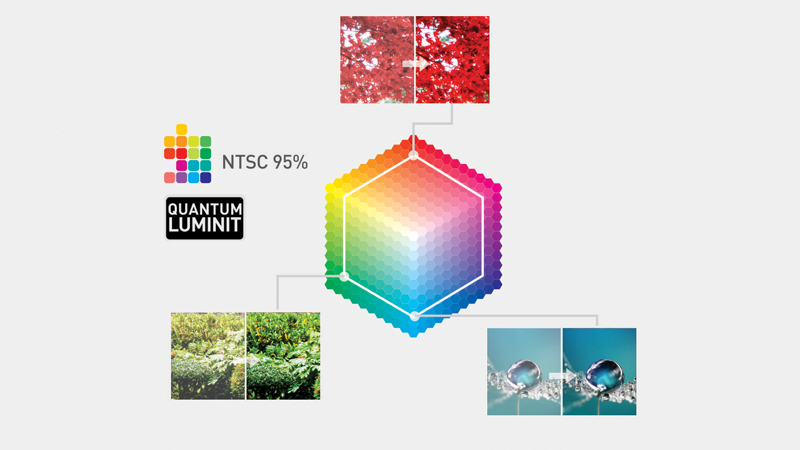 Wide color gamut is another step towards more realistic TV images. The Quantam Luminit display fused with WCG, enhances the reds, greens and blues, providing you with more of an impact on-screen than the resolution increase. 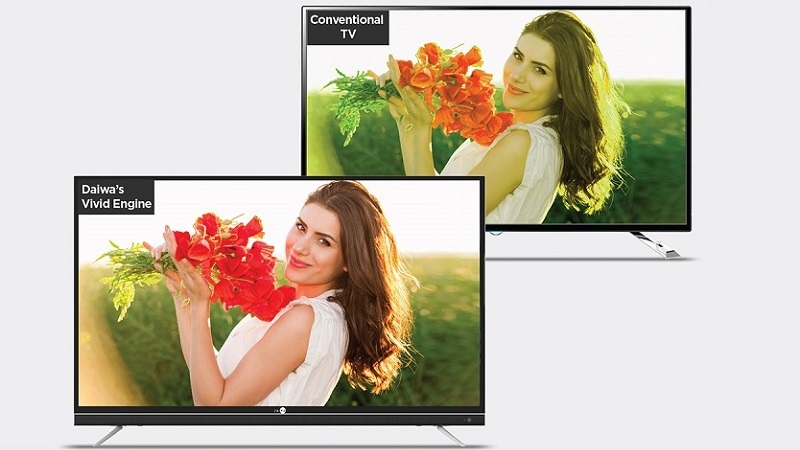 Now you can enjoy richer, more life like colors than you've ever seen on a TV. The stylish finish and the uniquely crafted ultra-slim bezel enhances the beauty of your walls. It has been designed impressively for a seamless and immersive viewing experience. Watch your favourite show with endless entertainment.